This Sunday, March 15 at 5:00 p.m. at St. Paul’s Episcopal Church, the 100 voices of the Richmond Three Choirs Festival join together in a service of Choral Evensong. The service is sung by the choirs of St. James’s, St. Stephen's, and St. Paul’s Episcopal churches. The canticles are the St. Paul’s Service by beloved English composer Herbert Howells (1892-1983); the anthem is “Lo, the full, final sacrifice” by Gerald Finzi (1901-1956). 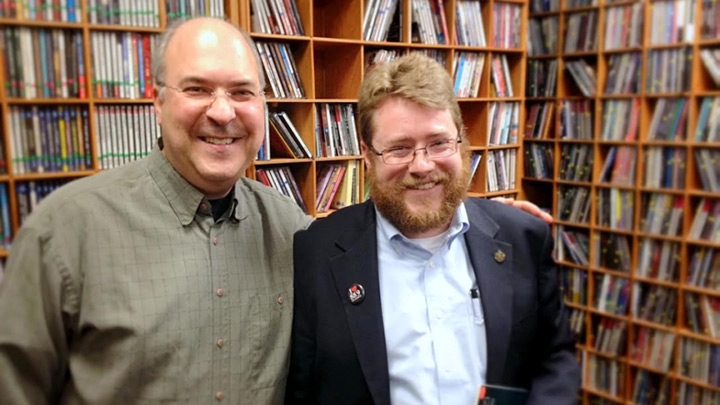 The Organist and Minister of Music at St. Paul’s, David Sinden, stopped by our studios to discuss this weekend’s performance and the music on the program.